Bots are more than just trendy. They’re increasingly becoming a smart business decision and one that more than just the big players are sitting up and noticing. 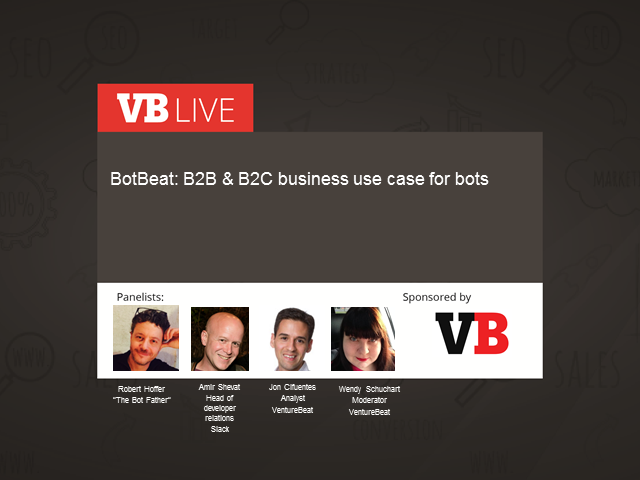 From Foursquare’s Marsbot (eatery recommendations) to Uber (rides) to the many bots that plug in to Slack, it’s clear there is both a B2B and B2C purpose for bots. For Activision, using bots via Facebook to announce this year’s Call of Duty: Infinite Warfare release to consumers netted them over 6 million messages between users. The beauty of bots, as Activision and others have discovered, is that they allow businesses greater access to increasingly mobile messaging consumers. Facebook is investing fully in the chatbot experience with brands including Staples, Bank of America, and Taco Bell. For both consumer brands and B2B companies, the time is now to consider the implications of bots for the bottom line. * Robert Hoffer, "The Bot Father"
Register today for this free executive event.